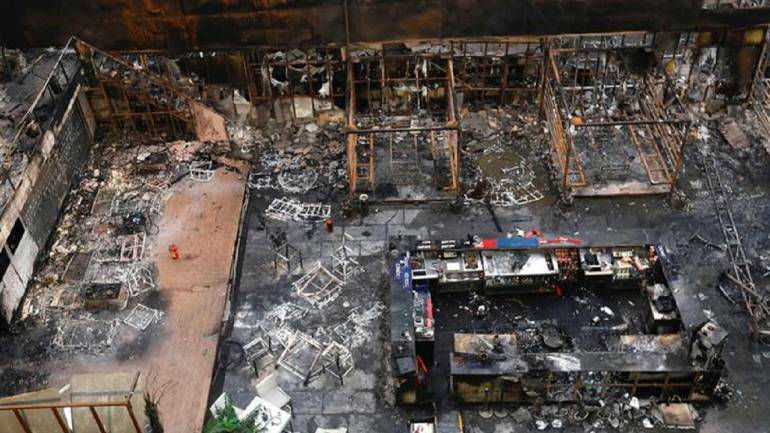 A judicial committee looking into last year’s fire at two restaurants in Kamala Mills compound has asked that the site of the tragedy be kept off-bounds for everyone, including the property’s owners, after discovering that large scale tampering of the structures may have led to destruction of crucial evidence.Fourteen people lost their lives in a fire at two restaurants – 1Above and Mojo’s – inside Kamala Mills Compound on December 29, 2017. Investigations later revealed large-scale construction and safety violations at the two restaurants. 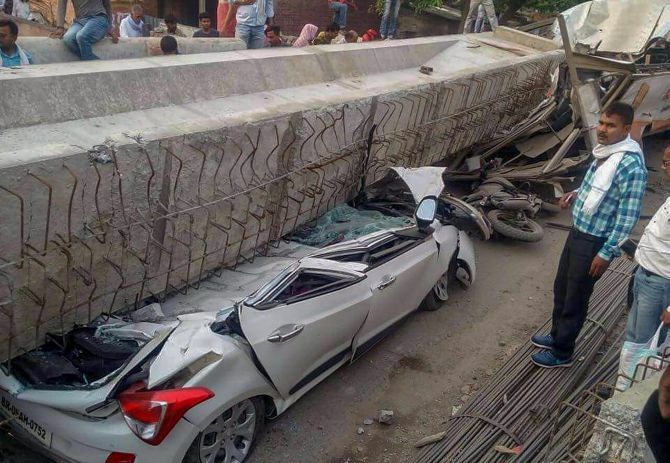 In Uttar Pradesh, four officers, including the Chief Project Manager of UP Bridge Corporation, have been suspended after two beams of an under construction fly-over collapsed in Varanasi last evening. At least 18 people were killed in the incident. Deputy Chief Minister Keshav Prasad Maurya has also set up a three-member committee to probe into the accident and to ascertain the technical reasons behind it. The committee, headed by Bridge Corporation Chairman YK Gupta, will have to submit its report within 15 days. Relief and rescue operations continue in full swing at the incident site. Seven NDRF teams of around 325 men have been deployed. The collapsed beams have been removed with the help of National Highway Authority’s heavy cranes. Vehicle trapped under the beams have also been removed. Europa, a moon of Jupiter thought to harbor a warm, saltwater ocean sloshing beneath a thick, icy crust, has long been considered one of the best spots in the solar system to look for alien beings. Now, citing data collected by NASA’s Galileo probe more than two decades ago, scientists report that giant jets of water are spouting more than 100 miles off that moon’s surface. The study, published Monday in the journal Nature Astronomy, adds to the mounting evidence that Europa is spewing its contents into space. If the existence of the plumes is confirmed and they are linked to Europa’s ocean, they could provide a tantalizingly straightforward way to sample the moon in search of signs of life. Rather than land on the surface and drill as much as 15 miles through ice – a feat that has never been achieved even on Earth – a spacecraft could simply fly through the spray and test its contents. 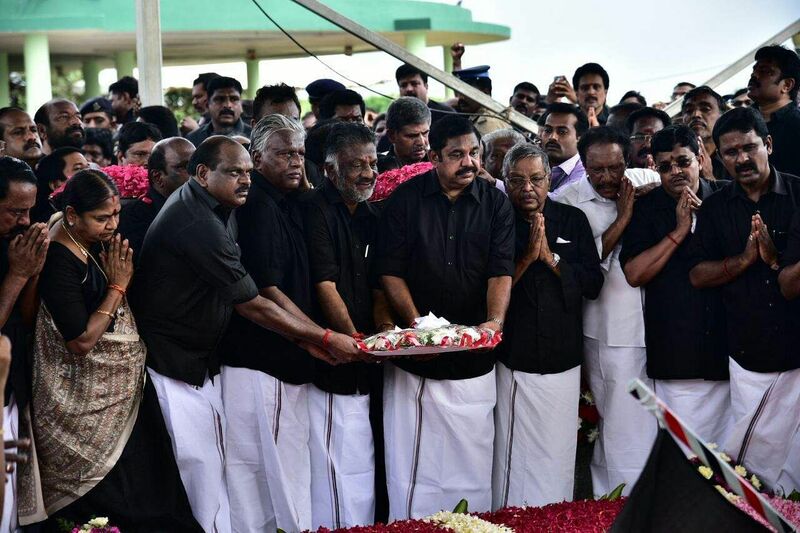 EPS and OPS paid tributes to their ‘Amma’ at her mausoleum on Marina Beach.Sidelined AIADMK leader T T V Dhinakaran also took out a procession with his supporters and paid floral tributes at Jayalalithaa’s mausoleum.Clad in black shirts, AIADMK coordinator Pannneerselvam and co-coordinator Palaniswami led a silent march of party functionaries, including ministers, MPs and MLAs.EPS and OPS placed a wreath at the memorial, where Jayalalithaa was laid to rest in December 2016. 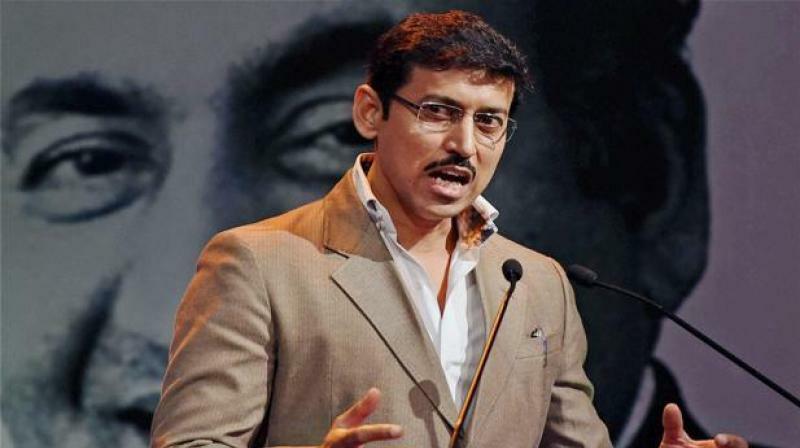 Col Rajyavardhan Rathore on Tuesday took charge as the new Information and Broadcasting Minister. On Monday in a minor Cabinet reshuffle, Mr Rathore was assigned independent charge of the Ministry in place of Smriti Irani. Interacting with the media after taking charge in New Delhi, Mr Rathore said, during the last four years a lot of work have been done in the Ministry with special focus on two way communication. He said, the work of the Ministry is to disseminate information on Government’s schemes and programmes as well as getting feedback from the public on the schemes for more improvement. Saying that Prasar Bharati will be strengthened, Mr Rathore said, he will ensure that high priority will be given to better and more informative programmes. All but one of the 239 people on the doomed Malaysia Airlines Flight 370 had probably been unconscious – incapacitated by the sudden depressurization of the Boeing 777 – and had no way of knowing that they were on an hours-long, meandering path to their deaths. Along that path, a panel of aviation experts said Sunday, was a brief but telling detour near Penang, Malaysia, the hometown of Capt. Zaharie Ahmad Shah. On two occasions, whoever was in control of the plane – and was probably the only one awake – tipped the craft to the left. The experts believe Zaharie, the plane’s pilot, was taking a final look. Makkal Needhi Maiam founder Kamal Haasan on Monday took the initiative of inviting political party leaders for an all-party meeting on Cauvery, to be convened by farmers’ organisations in Chennai on 19 May. The meeting would be presided over by veteran Communist leader R Nallakannu.Haasan called on DMK working president MK Stalin at the Anna Arivalayam to urge him to participate in the meeting. The actor-politician said he had also extended an invitation to a host of leaders, including BJP State president Tamilisai Soundararajan, TMC leader GK Vasan, AMMK founder TTV Dhinakaran and actor Rajinikanth to participate in the meeting. 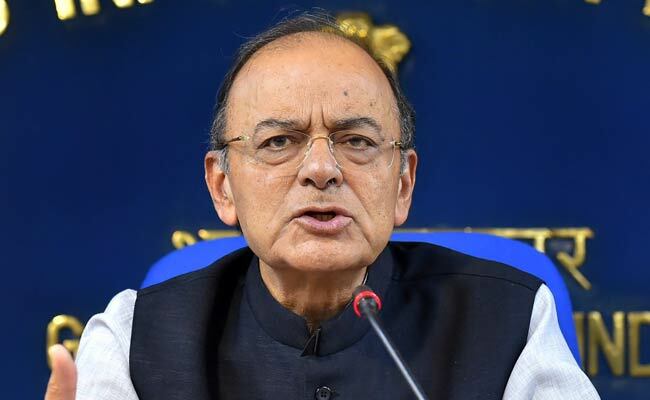 Finance Minister Arun Jaitley today underwent a kidney transplant at the All India Institute of Medical Sciences (AIIMS) in New Delhi. Hospital Authorities said, the surgery has been successful. Both the donor and the recipient are stable and recovering well. 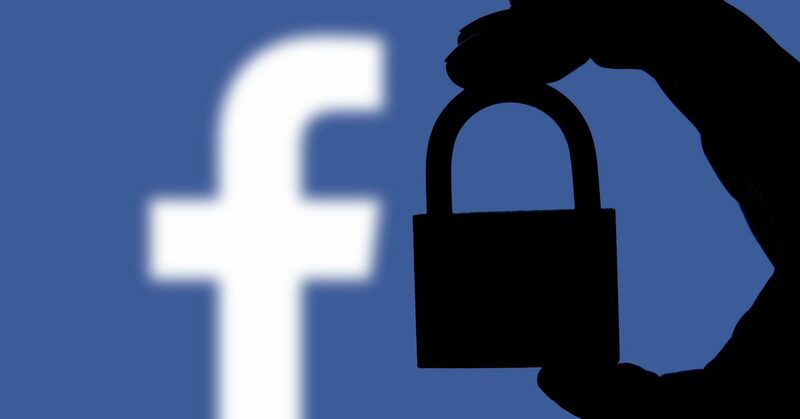 Facebook revealed Tuesday that it removed more than half a billion fake accounts and millions of pieces of violent or obscene content during the first three months of 2018, pledging more transparency while shielding its chief executive from new public questioning about the company’s business practices. The findings, its first public look at internal moderation figures, illustrate the gargantuan task Facebook faces in cleaning up the world’s largest social network, where artificial-intelligence systems and thousands of human moderators are fighting back a wave of offensive content and abuse. 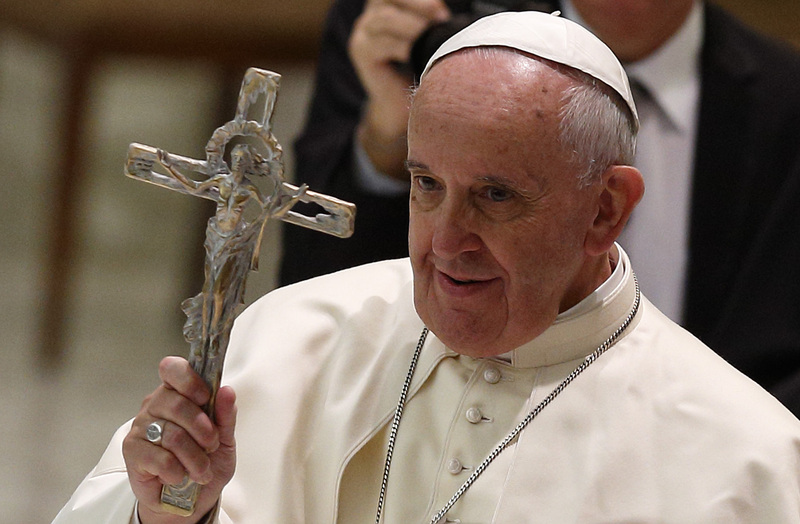 Pope Francis on Tuesday, 28 November, urged the leaders of Buddhist-majority Myanmar, mired in a crisis over the fate of Muslim Rohingya people, to commit themselves to justice, human rights and respect for “each ethnic group and its identity”.The pope avoided a diplomatic backlash by not using the highly charged term “Rohingya” in his addresses to officials, including leader Aung San Suu Kyi.However, his words were applicable to members of the beleaguered minority, who Myanmar does not recognise as citizens or as members of a distinct ethnic group. The United States has opened its embassy in Jerusalem. 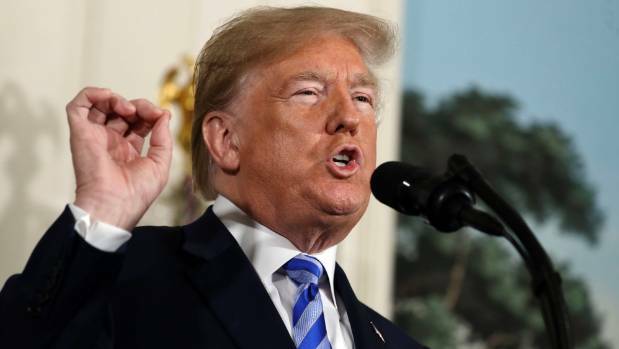 President Donald Trump had announced the decision to relocate the embassy from Tel Aviv to Jerusalem in December last year, when he formally recognised the holy city as the capital of Israel. In a tweet, Trump hailed the opening of US embassy in Jerusalem. The inauguration ceremony was attended by a high-level American delegation including Trump’s daughter Ivanka and her husband Jared Kushner, who serve as advisers to the US President. Apple is seeking about $1 billion from Samsung in another go-round stemming from a long-running smartphone patent-infringement dispute. The basic question for the jury is: Should Samsung have to pay damages on the whole device or just the components that were infringed? Samsung says the latter — and is urging the jury to limit damages to $28 million. “Lawsuits can take a long time,” Lee told jurors Tuesday. He asked them to “step back in time” to 2006 to consider flip phones, sliders, and what other cell phones looked like before Apple’s iPhone. Thirty four civilians were killed, 15 among them children, by Russian air strikes on a village held by ISIS in Syria’s eastern Deir Ezzor province, on Sunday, 26 November, a monitor said.The Britain-based Syrian Observatory for Human Rights said the strikes hit the village of Al-Shafah, on the eastern bank of the Euphrates River, in the early hours of Sunday.The Observatory relies on a network of sources inside Syria, and says it determines whose planes carry out raids according to type, location, flight patterns, and munitions used.